I've already mentioned the dichotomy between Jack and Locke, but truth be told the show is full of this exploration. While Jack and Locke are ultimately representations of good and evil(arguably) Sawyer and Jack are essentially two sides of the same coin. Both are good men at heart with similar goals, yet they both go about achieving results in different ways. Sawyer is of course the scoundrel, he's a good man, but has no problem with a little moral ambiguity. Jack on the other hand is more or less dedicated to helping others. This moment here marks one of their many encounters. 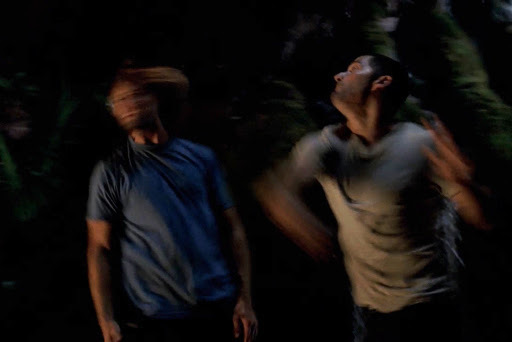 The two fight over everything, even though they both want what's best for the survivors even if Sawyer will never admit it, a fact that becomes all too apparent in later seasons. I love this relationship, which is captured perfectly here. These are brothers fighting, but both barreling towards the same goal. One last thought - Sawyer still got there first. Wink.